You may be following hundreds of people on Instagram from your friends to your favourite celebrities. Every time when you open Instagram, you will be bombarded with a lot of posts and stories from the people you are following. If you don't like someone's posts, you always have an option to unfollow them, but it's considered a rude behaviour. Sometimes, you want to hide someone's posts from your Instagram news feed without unfollowing them. 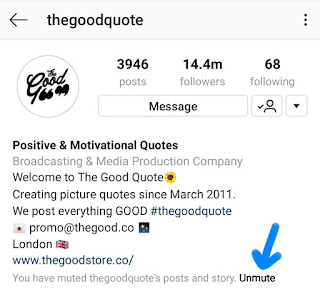 Thankful, Instagram has introduced a new feature which allows you to mute posts from people you don't want to see in your news feed. 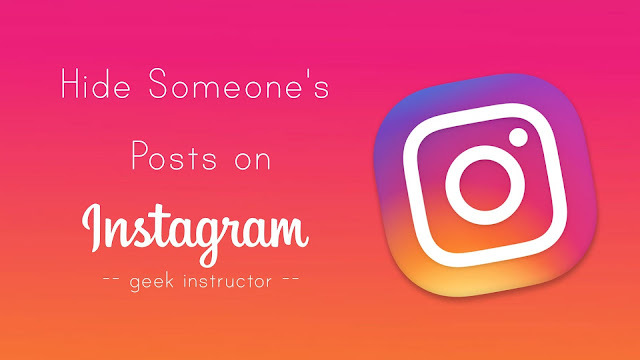 This tutorial will guide you how to hide someone's posts on your Instagram without unfollowing them. First, open Instagram app and go to Search tab. Search and open the profile of the person/page whose posts you want to mute. Tap menu button (three-dots at the top -right corner of the screen) and click "Mute" option. Now tap "Mute posts" option. If you would like to mute stories also, click "Mute posts and story" option. That's it. This way, you can mute any number of people on your profile. 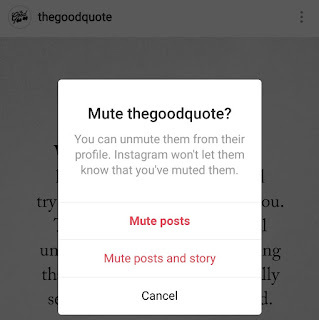 Instagram won't let the users know that you have muted them. 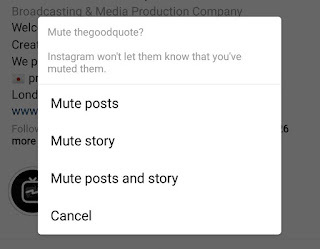 There is another quick way to mute posts from the people directly from your Instagram news feed. Simply, tap the menu button (three-dots) on the post of the user you want to mute, click "Mute" option, and then click "Mute posts" option again. Now you won't see those annoying posts and stories of the person/page in your news feed. However, you can still see their posts and stories on their profile. Open Instagram app and go to Search tab. Search and open the profile of person/page whose posts and story you want to unmute. Now click the "unmute" option below bio section. Alternatively, tap menu button (three-dots) and click "mute" option. 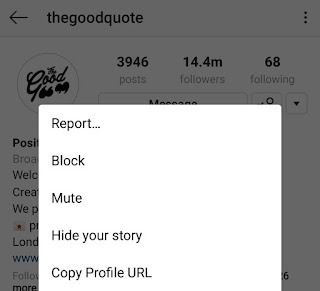 Here you will find an option to unmute the posts or story of the user. We hope you find this guide helpful to hide someone's posts on your Instagram news feed without unfollowing them. If you want to ask something, feel free to share it in the comment section.